Microsoft's flagship email program, capable of managing email, calendar, and contacts for multiple accounts. 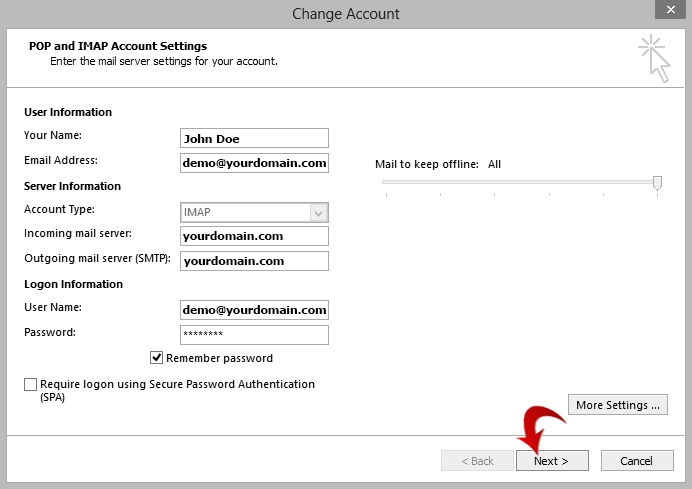 The following steps will walk you through how to setup Outlook to download your email. Just follow the instructions below the picture. 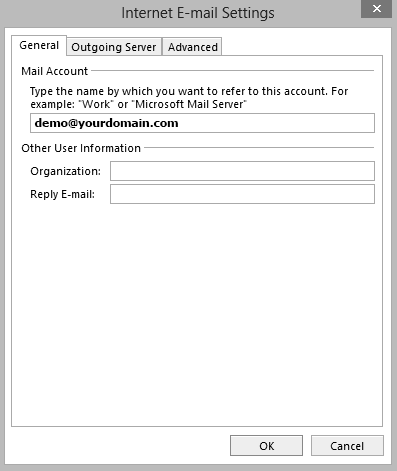 Don't forget to replace the example email and domain with your own information. 1. Select the File menu. 2. 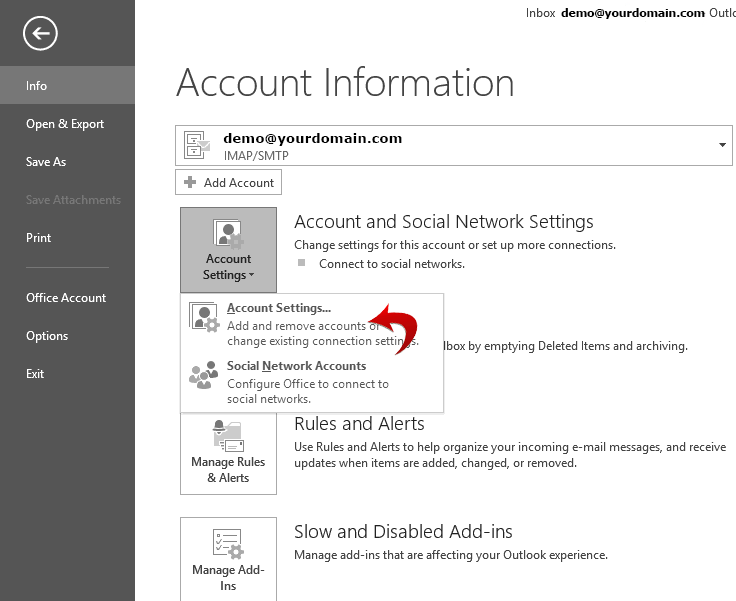 Select the Info menu item, Account Settings, then click Account Settings below the drop down. 5. Under the General tab, make sure your email is appearing in the top field. 6. 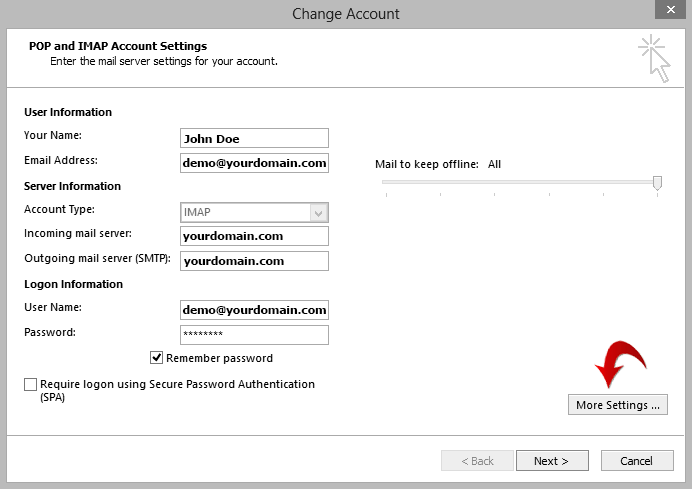 Under the Outgoing Server tab, check the top box and select "User same settings as my incoming server". Check the "Remember Password" box. 7. Click the Advanced tab. Use port 143 for Incoming Server. 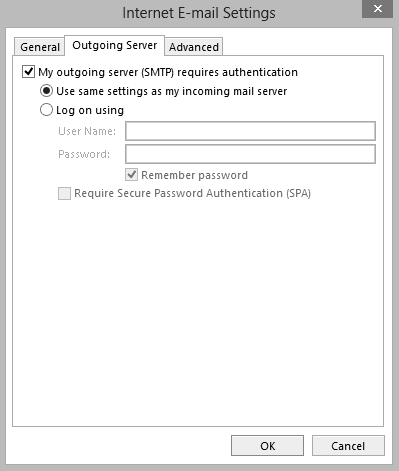 Under Outgoing server SMTP, if port 25 does not work, try port 26 instead. 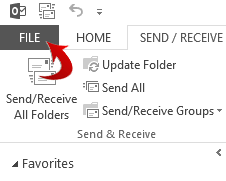 In the Root Folder Path field, enter INBOX. 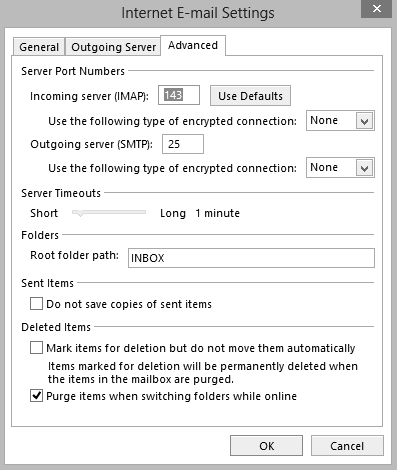 Check the last box "Purge items when switching folders while online". Click OK.
9. When you see this screen, click Next. It will then run tests to ensure that the email is working properly. Finished! Your account is now setup and ready to use. If you have multiple accounts, repeat these steps with the other account information. That's it. 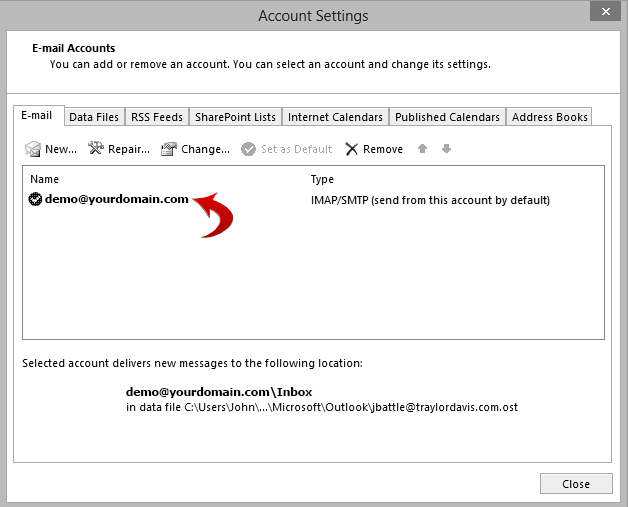 If you followed these instructions and entered your information correctly, you will now have access to your email in your Outlook email client on your computer. Of course if you're having problems, you can always contact us. We'll be glad to help. Design & Content Copyright © 2019 Unconfusing Technology, LLC.